Are you looking for any government job? Are you interested to serve in the Border Police area with a medical degree? Here is a great opportunity for you! 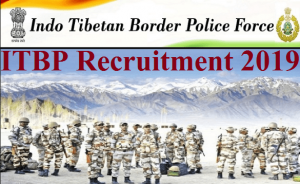 Indo Tibetian Border Force has opened the recruitment for the filling the post of 496 vacancies. The vacancies are opened for different posts like Super Specialist Medical Officer, Specialist Medical Officer, and Medical Officer. If you are below 50 years (Refer the official notification for the exact age limit for various category and posting) and hold MBBS degree you may apply for the post on or before 1st May 2019. It is a great opportunity to serve for the border force in your medical field. The posting can be anywhere in India will good salary. The applying process is completely online and you will have to do them as soon as possible to avoid last minute tensions. The selection process will be based on interview and medical examination. When you are interested, you may open the official website and look at further details and apply for the job. It is also required to be updated with the official website for further information and upcoming vacancies. Online: The interested candidates who apply for the ITBP Recruitment 2019 may apply through credit card, debit card or through net banking. Step 2: You may open the careers section and read the official notification completely and understand them. Step 7: Complete the process and print the application since it may be used for the latter purposes. Keep updated with the official website for further details like the following interview process, results and upcoming vacancies.